Fredagen den 11 mars kl. 8.30-9.45 besöker Jan-Philipp Sendker oss på AkademibokhandelnLundeQ och berättar om samt signerar sin nya roman Hjärtats innersta röst. Det är uppföljaren till succén Konsten att höra hjärtslag som förtrollat en hel värld. Den har verkligen talat till människors hjärtan och bara i Sverige har den sålt i 250 000 exemplar. Han intervjuas av sin förläggare Karin Linge Nordh. Samtalet hålls på engelska. The Art of Hearing Heartbeats author Jan-Philipp Sendker! WSB and international bestselling book The Art of Hearing Heartbeats author Jan-Philipp Sendker at Water Street on June 18th! Almost ten years have passed since Julia Win came back from Burma, her father's native country. Though she is a successful Manhattan lawyer, her private life is at a crossroads; her boyfriend has recently left her and she is, despite her wealth, unhappy with her professional life. Julia is lost and exhausted. One day, in the middle of an important business meeting, she hears a stranger's voice in her head that causes her to leave the office without explanation. In the following days, her crisis only deepens. Not only does the female voice refuse to disappear, but it starts to ask questions Julia has been trying to avoid. Why do you live alone? To whom do you feel close? What do you want in life? Interwoven with Julia's story is that of a Burmese woman named Nu Nu who finds her world turned upside down when Burma goes to war and calls on her two young sons to be child soldiers. This spirited sequel, like The Art of Hearing Heartbeats, explores the most inspiring and passionate terrain: the human heart. Praise for A Well Tempered Heart: "An absolutely transcendent novel that doesn't just dare to understand the human heart, it inhabits it. About love, unspeakable loss, and coming to know what really saves us in life, this is the kind of stunningly perfect novel that changes lives. I know it did mine. To say I loved it is pure understatement." --Caroline Leavitt, New York Times bestselling author of Pictures of You and Is This Tomorrow "Sendker's follow-up to The Art of Hearing Heartbeats...opens readers' eyes to a history of buried atrocities...and takes pains to develop a realistic world..." --Publishers Weekly "An absorbing, moving sequel." --Booklist "In...Sendker's sequel to The Art of Hearing Heartbeats...Julia returns to Burma...for further lessons in love. Sendker is a mesmerizing storyteller." --Kirkus Jan-Philipp Sendker, born in Hamburg in 1960, was the American correspondent for Stern from 1990 to 1995, and its Asian correspondent from 1995 to 1999. In 2000 he published Cracks in the Wall, a nonfiction book about China. The Art of Hearing Heartbeats, his first novel, is an international best seller. He lives in Berlin with his family. Meet Author Jan-Philipp Sendker for Lunch! Jan-Philipp Sendker, author of the beloved novel The Art of Hearing Heartbeats will be at The Hickory Stick Bookshop for an author luncheon with the book's sequel, A Well-Tempered Heart. Our luncheon series provides food for thought with author Jan-Phillipp Sendker. Your ticket to the luncheon includes a book, a catered lunch and discussion time with our guest author - all for the price of his latest book. A booksigning with the author will follow the discussion. 12-1:30 pm. Space is limited so reserve your place now! The sequel to the international best-selling novel The Art of Hearing Heartbeats. Almost ten years have passed since Julia Win came back from Burma, her father’s native country. Though she is a successful Manhattan lawyer, her private life is at a crossroads; her boyfriend has recently left her and she is, despite her wealth, unhappy with her professional life. Julia is lost and exhausted. Jan-Philipp Sendker, born in Hamburg in 1960, was the American correspondent for "Stern" from 1990 to 1995, and its Asian correspondent from 1995 to 1999. In 2000 he published "Cracks in the Wall," a nonfiction book about China. "The Art of Hearing Heartbeats," his first novel, is an international best seller. He lives in Berlin with his family. Interwoven with Julia's story is that of a Burmese woman named Nu Nu who finds her world turned upside down when Burma goes to war and calls on her two young sons to be child soldiers. This spirited sequel, like "The Art of Hearing Heartbeats," explores the most inspiring and passionate terrain: the human heart. Please join us for a special evening with author Jan-Philipp Sendker when he comes to present and sign his highly-anticipated new novel, A Well-Tempered Heart, the sequel to his international best-selling novel The Art of Hearing Heartbeats. What: Jan-Phillip Sendker will discuss and sign his new novel, A Well-Tempered Heart. When: Thursday, March 13, 7:00 p.m.
A limited number of autographed copies of Jan-Phillip’s book will be available for purchase after the event. If you cannot attend the event, but would like a personalized copy of his book, please call us before the event at (281) 497-8675. 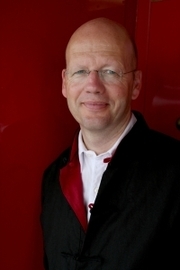 Jan-Philipp Sendker is currently considered a "single author." If one or more works are by a distinct, homonymous authors, go ahead and split the author. Jan-Philipp Sendker is composed of 4 names. You can examine and separate out names.